Forearm crutches are designed to give you support and balance while walking. At the top of the crutches are contoured arm cuffs in which you place your arms. The cuffs will surround your arms just below the elbows to help reduce any strain on your arms. Some people cover their cuffs with material such as sheepskin for added comfort. The bottoms of forearm crutches are covered by replaceable rubber tips to help stop you from slipping and sliding on the floor or ground. Accessories for crutches are also available. 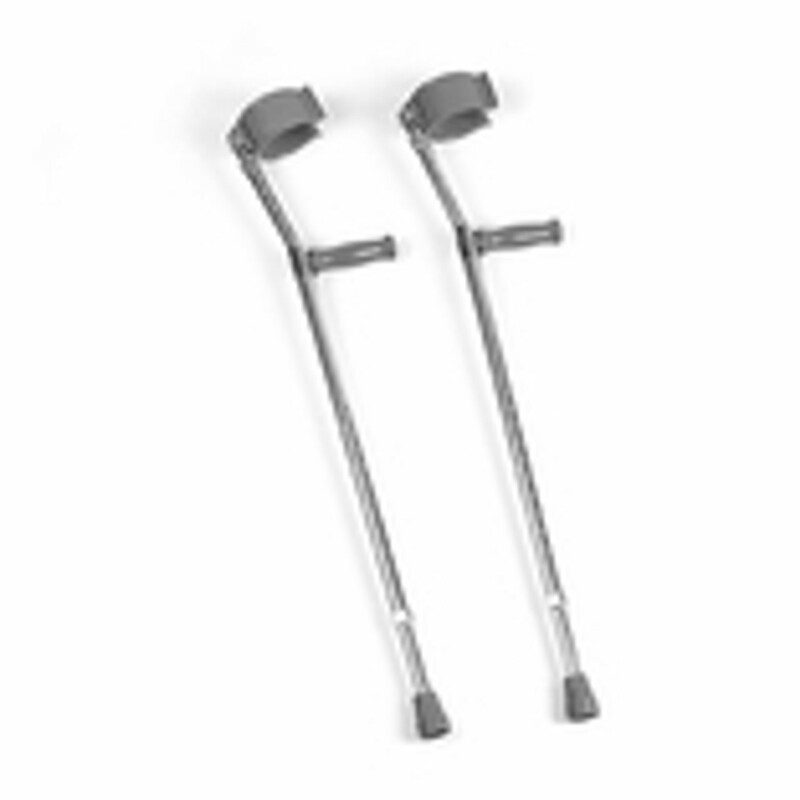 Forearm crutch accessories include things such as grips, crutch skins and carry bags, cuff covers, crutch holders and ice tips.